Ever imagine yourself hitting one of those ridiculous half-court shots to win a major prize? I know I have. And if your aim is anything like mine, you know it would take a lot of magic to find the rim. 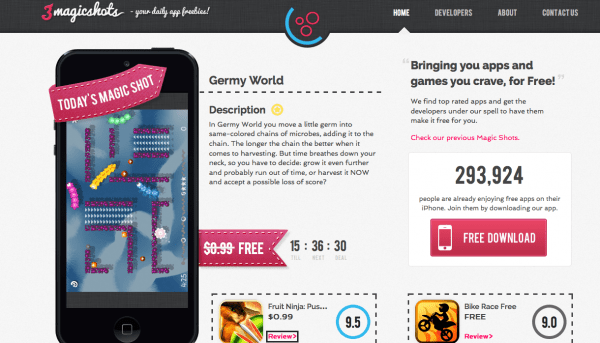 Scoring a great app in the App Store shouldn’t be so difficult. 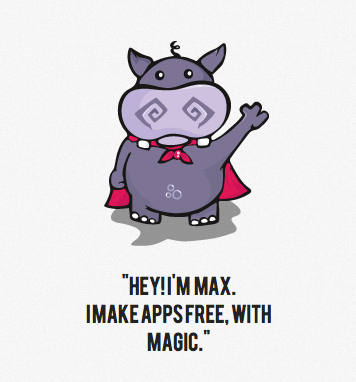 Startup 3 Magic Shots agrees, and showcases apps as sweet as that sound of nothin’ but net. 3MS takes a rather straightforward, refreshing approach to app curation. No search engines, no elaborate classification system. Instead, a picky team selects 2 high-quality apps to feature each day. This affords members the opportunity to sample apps without being bludgeoned by choices (or accumulating costs). The Magic Shot of the Day dishes out otherwise paid apps for free. Free iOS apps? That’s real magic. 3MS negotiates with – or casts a spell over – developers, to make top-rated apps available for free for a limited time. What fun! Featured apps enjoy a triple spotlight, appearing on the 3 Magic Shots website, via the iTunes application, and through the startup’s social outreach. Think a carefully focused Groupon for iOS apps. As the 3MS website puts it, raising an app’s profile “requires experience, expertise and a bit of crazy to reach out to millions of users in a couple of days.” 3MS spotlights apps in front of an enthusiastic audience. This visibility is often hard to come by, not to mention, a lot of promotional campaigns grow stale quickly or prove expensive with uncertain returns. The daily freebie system keeps things exciting for members and functions as a cheap marketing tool. For more details on having your app featured, contact 3MS here. When I walk into a bar and I’m asked “What are you drinking?” my first instinct is to answer “Yes.” Too many delicious choices. But realistically, I need to limit my consumption. The App Store creates a similar predicament. There are tons of promising and interesting apps, but most of us need to keep our intake somewhere around a 3 app average. Like a helpful bartender, 3 Magic Shots narrows the selection to 3 appealing games or applications. Nobody wants an app hangover. 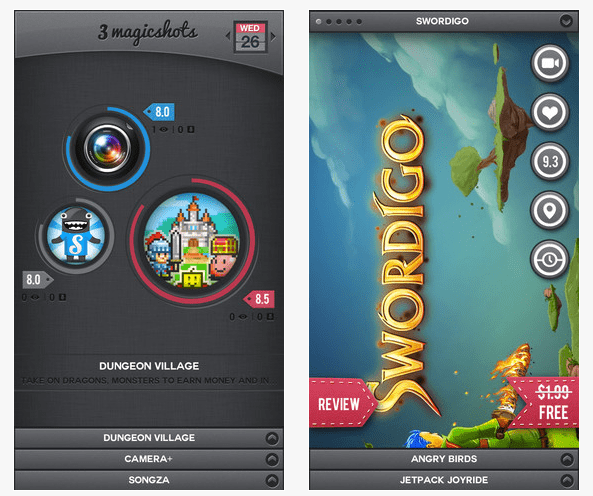 3 Magic Shots is the creation of wizard Harsh Rajat, the developer behind the Rocket Download Manager. Follow 3MS on Facebook or Twitter. Download the 3 Magic Shots app from iTunes here.